Now is your opportunity to own this extraordinary private, spacious and updated home in award winning Anchorage School district. 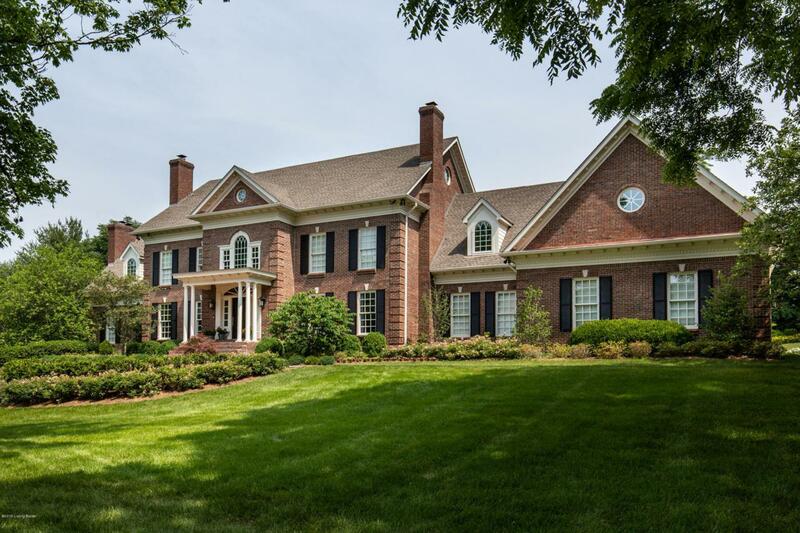 Updated elegance in this 5 bedroom, 5 bath residence which offers opportunities for elegant entertaining, private, casual patio cookouts or game day gatherings in the lower level. The gourmet, eat-in kitchen with top of the line GE Monogram appliances, and bar area with custom walnut cabinetry add to its functionality. The generous master suite has been updated with a spa inspired bath with steam shower, heated floors, and custom closet with 2 islands, a kitchenette, and quartz countertops. The sellers spared no expense in the execution of the incredible outdoor living space including installation of a shotcrete salt water pool, an outdoor kitchen withlimestone flooring, GE Monogram grill and commercial hood, stainless steel cabinetry, an outdoor beverage refrigerator, and tile and brick surround. New limestone and brick patio spaces with gravel fire pit surrounds the pool lounge area. Extensive landscaping designed and installed by Korfhage Landscape & Design. The list of improvements and upgrades goes on and on. Be sure to check under Documents for the complete list. Call us to schedule your private showing today! Listing provided courtesy of Julie Pogue Properties. © 2019 Metro Search, Inc. All rights reserved.